Here is January's post. Excuse the grammar mistakes as I typed this really quickly while in a hotel. January 2017 was overall a good run for my portfolio. I have appreciated decent "paper" gains. I accumulated a lot of cash this month and invested more into PM and MO on January 19. 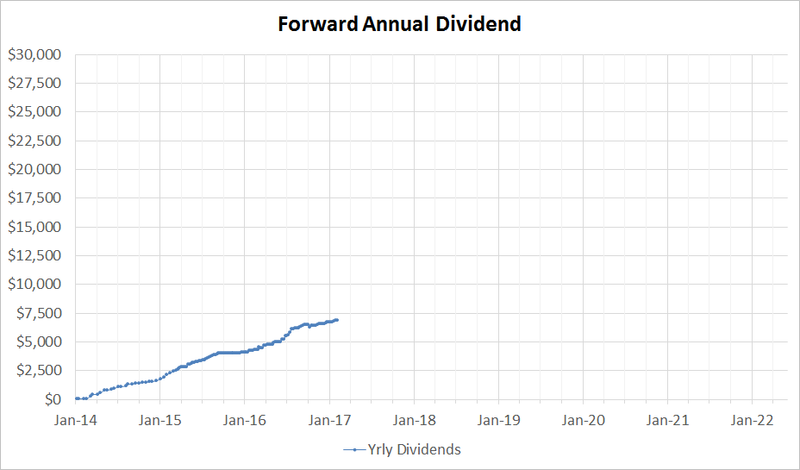 January was also a record dividend paying month for me, as I was able to get $809. All of those proceeds were reinvested to the respective dividend paying companies. The dollar has been weakening in 2017 which helps the multinational US companies that I hold in my portfolio like PM, CL, PG, and KO. A strong dollar makes American companies less competitive overseas because their products cost more than their international counterparts. 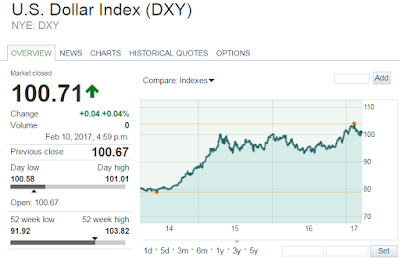 Bringing back dollars to the states is also hurt by a strong dollar since less dollars can be received for a Yen or Euro. 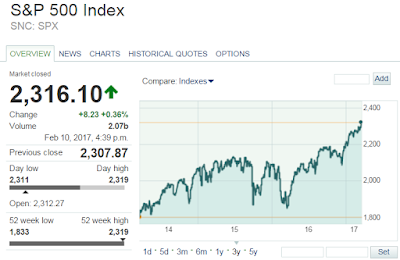 The S&P500 has been moving higher and higher on the hopes that Trump will enact favorable policies for big business; these include repatriation of overseas cash, lower corporate tax rates, and stimulus spending to move the economy forward. All of these will help many of the companies that I hold as their taxes are in the 35% range, and several hold extremely large cash hordes overseas. The repatriation of cash will help companies buyback stock, do acquisitions, increase dividends, or reinvest into efficiency improvements or R&D. These will all help share prices. 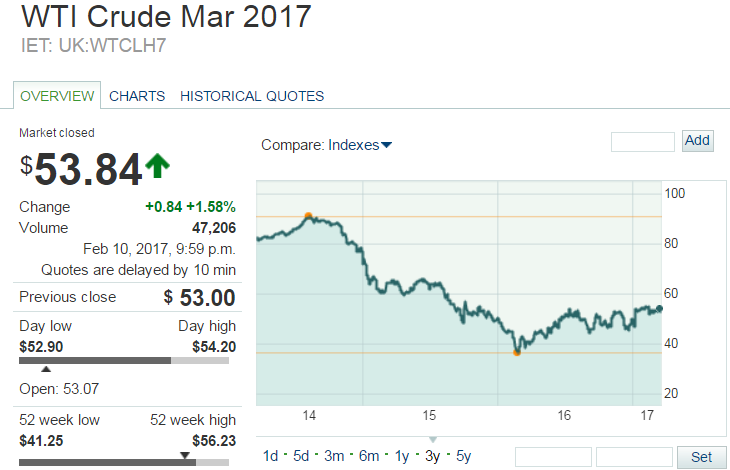 Crude oil prices have stabilized relatively speaking compared to the past. There has been a big increase in valuations for integrated oil, pipelines, and industrials due to favorable Trump energy policies and stimulus rhetoric. 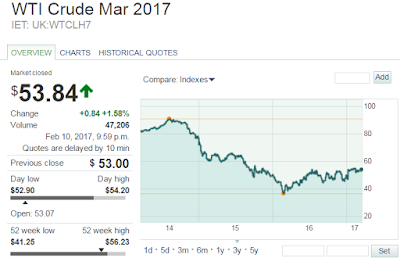 I would say at this time, I wish I held more cyclicals in energy and industrials since those have benefited a lot from the Trump rally. However, I will keep with my financial plan in investing in stable defensive non-cyclical businesses since that will help me get through good times and bad times. Cyclicals only are "stars" during a rising tide. My portfolio at the end of January sat at around $290,000. I am getting really close to popping the $300,000 milestone. 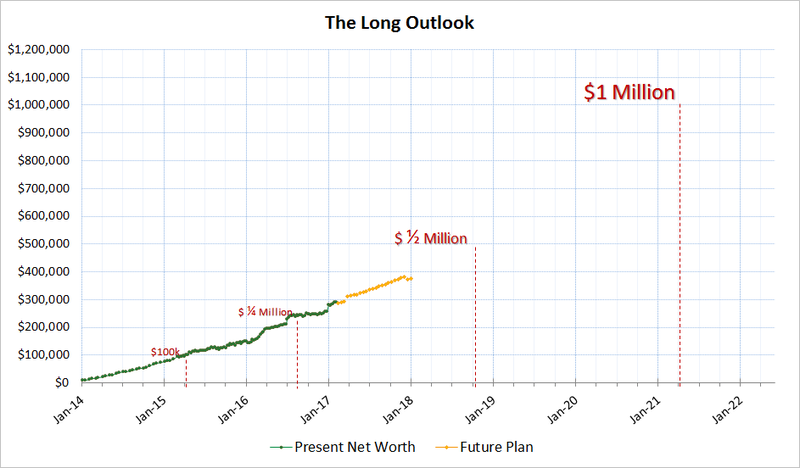 Step by step I am saving and investing my earnings to achieve my net worth goal of $1,000,000. The purpose of this investment is income replacement. All of my holdings in my portfolio pay me checks every month or quarter. And every year, each of my holdings raises its dividend. Eventually, this income will grow and become larger than my living expenses. As a background, stocks with their name in Green are Core, Yellow are supporting, and Red is speculative. I also list the Value Line safety and Financial Strength ratings and S&P credit score. Green scores are good, yellow are moderate, and red are low scores. Companies that have their entire row bold and in green are what I consider "Super Core" positions since they are of highest quality. It should be noted that I recently removed Colgate and Abbott from the "Super Core" into Core because their Value Line or S&P ratings were declined slightly recently. Quality is very important for me which is why I track all these metrics of what is core and what is not core. In low quality companies, I cannot expect to remain loyal when their business model turns bad or when the economy hits a wall. I have been burned many times in my "beginning" years in investing when I chased extremely high yield or growth and sacrificed on quality. It has never worked out for me. Only when one loses a lot of money can one be able to learn that low quality companies should only be invested using "extra" play money. I can be confident with my core holdings that their dividends are protected even when market conditions are rough. Although high quality companies are often more "boring", over extremely long periods of 10-30 years they will compound incredibly well in a reliable less volatile manner. Due to my strict quality metrics, my overall portfolio yield is lower than in the past since best of breed usually have more conservative payout ratios and dividend increases. Right now my average yield sits at around 2.7%. When ones portfolio starts going over 4% in average yield, it starts to become more risky and volatile since usually those assets are more leveraged or cyclical; whenever a high yielding company's dividend safety is questioned their stock price will tank and that hurts the investor chasing after yield. For those that must rely on the dividends to survive, it is imperative that investors hold more assets that are non-cyclical and have the financial strength and quality to sustain the payout. My portfolio is quite weighted towards tobacco. I have around 20% of the portfolio in Philip Morris and Altria. My top 10 weighted positions account for nearly 50% of my portfolio. I don't believe in diversification and I am willing to put more weight into investments I believe will offer good returns from the research I have done. My top 10 positions are Altria, Home Depot, Philip Morris, Realty Income, J & J, Ross Stores, Visa, Starbucks, Kraft Heinz, and General Mills. Most of these are defensive in nature and have regularly increasing dividends. I classify my portfolio into core positions, supporting, speculative positions, and cash. Core positions are the foundation of the portfolio. They are less volatile and more predictable, these companies are often defensive in nature. The supporting and speculative positions offer more growth but will have more volatility during bad markets. Most of my portfolio is in consumer staples. This sector offers a lot of high quality companies that pay robust dividends. 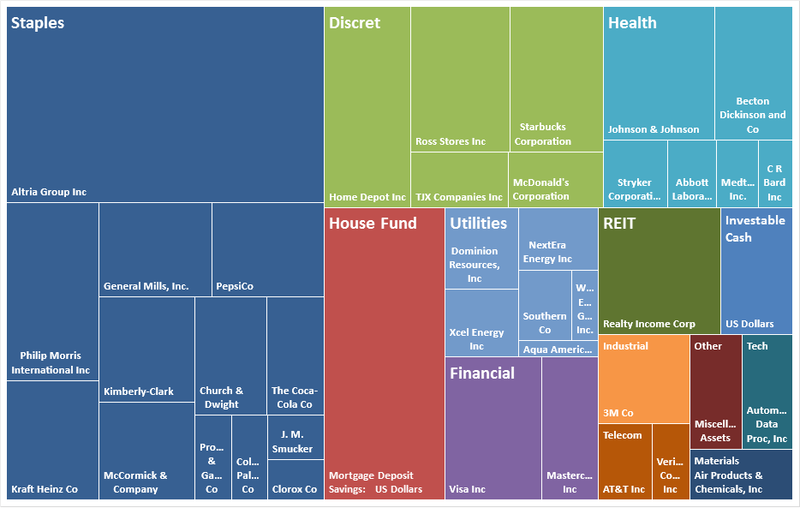 My next highest categories are in my healthcare, discretionary, and cash positions. Below I chart my progress. The orange dots are what I set as goals since the start of the new year, which does not include capital gains from my holdings. $1,000,000 is still a long way but over time I believe my portfolio by itself will help contribute a lot to the overall growth. In the first few months, portfolio growth was dominated by my contributions and not really influenced by market fluctuations. In addition to tracking the asset value, I think it is very important for investors to understand the forward annual income one can expect from their investments. Dividend (or rental income) is largely nonvolatile and steady. It is easy to predict what next year's income will be. However, it is much harder to predict what the value of one's portfolio will be from one month to another month. 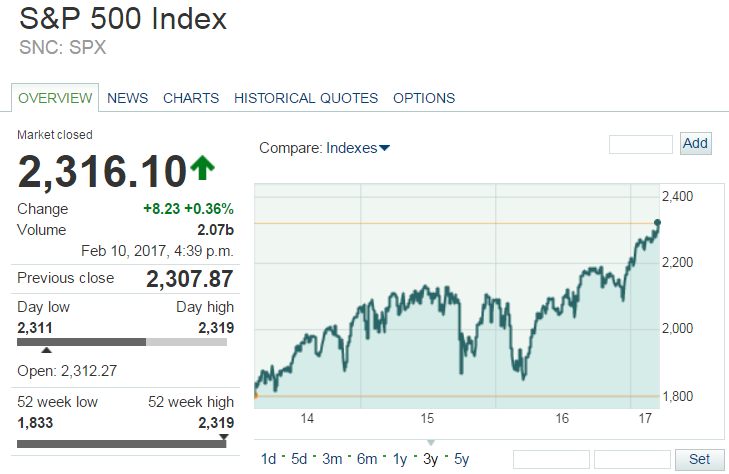 This is because stocks (or any asset price) is based on the market's sentiment and what other people want to pay for the asset. Dividends on the contrary are based on earnings and cash flow. As long as the business fundamentals are in tact, dividends will be very predictable. Having a dividend and knowing the income is secure and growing consistently year after year will help investors hold through extremely tough times like 2008 - 2009. For February, my plan is to initiate a $1500 position in a company yielding over 3%. I will announce my decision in a few days. Other than that, I plan to keep most of my earnings as cash in a savings account. Boom! Just great metrics here, love that your tracking this and the line graph points "up". Compounding will help you tremendously and I hope that you surpass your wildest expectations. Stay hungry, always.